I’ve struggled with dry, itchy and painful eczema on my hands for a long time. Some things have made a big difference (like cod liver oil, eating less sugar, keeping my stress down and my sleep up, wearing gloves, etc.). Other things have never really made much of a difference, including the zilllion types of lotion that I have tried over the years. We tried almost everything and though some lotions helped a little, none of them really gave the relief that I needed. Until I tried MadeOn Hard Lotion bars. I first received them as a sample from an advertiser. They were novel (since they are hard lotion that comes in a tin, rather than liquid lotion). I was intrigued and began using them here and there. After a while it became evident that whenever I used them, I actually had a few hours of relief with my hands, and when I used them consistently my hands were markedly improved! 1. 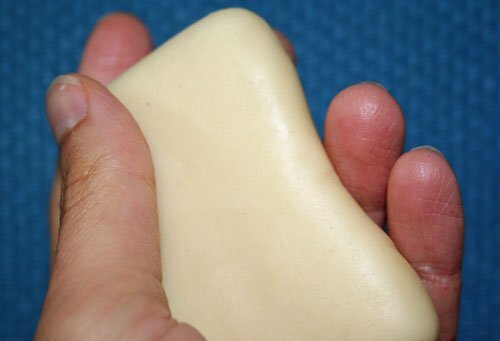 There are so many different kinds of lotion out on the market, but a hard lotion bar was a new concept for me. Why hard? What the difference? What makes the hard lotion hard rather than soft is the beeswax. The beeswax has a high melting temperature so it creates a hardness when melted and mixed with other ingredients. What I like about the beeswax is that it seals in the other ingredients so it lasts longer than many of the pump lotions that you find on store shelves. It takes 30 seconds longer to apply (the bar warms and absorbs into your skin as you rub it), but the need to reapply it compared to pump lotions is much less frequent. 2. I’ve struggled with very dry skin and eczema for about 10 years, mostly on my hands and fingertips. It gets worse when my hands are frequently in water, and especially during gardening season. Right now, my hard lotion bar from MadeOn Lotion is the only thing giving me relief… why does it work so well? The Beesilk lotion bar contains no water, and I’ve read that repeated contact with water actually dries the skin. That explains why moms like us who wash our hands frequently also tend to have dry skin. Here’s another reason: when you look at the ingredients listed in your favorite pump lotion, you’ll find that the list takes up most of the label. 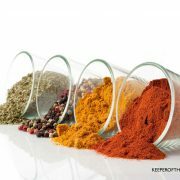 Many of those ingredients are preservatives (to extend the shelf life) and fragrances (to please the consumer). Unfortunately, preservatives and fragrances are often the ingredients that aggravate the skin. So less is more when it comes to lotion. Look for fewer ingredients, and make sure the lotion works for your skin. 3. What is special about the (very simple) ingredients in MadeOn Lotion that works so well to address extremely dry skin? Coconut oil. Shea butter. Beeswax. That’s it. I don’t know enough about the chemical make up of the ingredients to tell you exactly why it works so well, but shea butter has been used for skin, hair, and even as an edible oil in Africa for years and years. 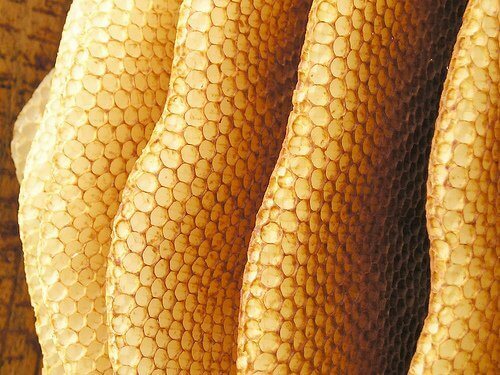 The ancient Egyptians, Greeks and Assyrians used beeswax for various skin conditions. And coconut oil… well, it’s done wonders for my family’s diet, as well as for our skin! We don’t need anything else to conquer dry skin. Plus, all three ingredients are edible, so you don’t have to worry if the baby gets a hold of it. There IS a reason why you won’t find something as simple as the Beesilk hard lotion bar on store shelves: no preservatives. The ingredients I use have a shelf life of about a year, therefore I sign and date each bar (hence the business name “MadeOn:”). Because I make lotion, hair butter, diaper rash cream or lip balm almost every day, the products that leave my special lotion workroom are extremely fresh when they arrive to the customer. To make sure the ingredients are safe, I submit them through Environmental Working Group’s cosmetic database to ensure that my products have a low hazard rating. Check my products and you’ll find that all my products listed have a 0-1 hazard rating. 4. Tell us a bit about your own story and how you came up with the idea to make these lotion bars? I have always struggled with extremely dry skin – from the cracked heels from walking barefoot, to the cuts in my fingers that would make me cringe to even look at a slice of lemon. I had tried everything, from overnight gloves, to Bag Balm, to all forms of Eucerin, and Nivea, and, of course, Band-Aids. I didn’t care whether a product was natural, biodegradable or green; I needed something that worked. My mom, whose dry skin genes I’ve inherited, told me someone had given her a lotion bar that worked really well on her skin. I Google’d “lotion bar”, found the easiest possible recipe, and made it. That was two years ago, and today, it’s the same simple recipe I use to make the Beesilk bars. Not only did it work amazingly well on my hands, it did wonders for my son’s eczema. By the way, I show how to make it at home on my how to make hard lotion video. I think it’s because we homeschool that our family has an entrepreneurial spirit, and we saw an opportunity to try something new that would be a teaching tool for our children. We spent a few months of having over 50 people test and survey my product, and then began selling at the farmer’s market with my two boys, Jonathan (11) and Caleb (9). They passed out lotion samples while I answered questions and made sales. It was a great experience but next I wanted to try an internet store. We launched a website and I was able to do the work from home. What surprised me is the amount of customer interaction I get to have over the internet, and most of the products I developed after the original Beesilk bar came as a result of suggestions from customers. (I’m currently working on an all-natural diaper rash cream and so far I’ve had fantastic feedback from my product testers, most of whom are cloth diaper users.) 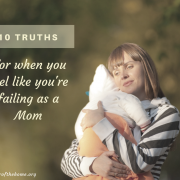 It has been a fruitful learning experience for our entire family and I’m hopeful that my six boys will know enough about running a home business that they’ll be able to support their own families someday doing something they love, from home. 5. As someone who has been there, done that… what are your personal tips for those struggling with dry skin and seasonal eczema? To not wash your hands is unrealistic, so that’s out (to my children’s disappointment). Keeping the body hydrated and avoiding soaps or any products that have a lot of filler ingredients (fragrances, parabens, chemicals, etc.) helps. I’ve noticed that I’m just about on a “scent-elimination diet” with products… my shampoo, dishwashing and laundry detergents, the perfume on people around me… scent seems to be unavoidable. So I’m trying to go scent-free with my purchases so that my nose can enjoy true scent, like the lavender in my garden. Eczema itself involves even more careful evaluation of our lifestyle and there may be a need to identify and remove any eczema triggers, like certain foods, stress, or changes in environment. The Beesilk bar relieves the symptoms of many forms of eczema but I don’t want to promise that it will eliminate it altogether. Finally, it helps to know the ingredients in your products and to find those products that 1.) won’t irritate your skin, and 2.) will relieve your skin problems. 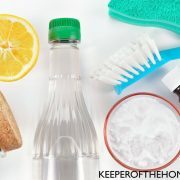 The biggest lesson I’ve learned from this is that it really doesn’t take many ingredients to: replenish your skin with natural oils, add oils and style to dry, coarse hair, clear up a rash, repel mosquitoes and bugs, or relieve chapped lips. I work with beeswax, coconut oil and shea butter as the base, and those alone solve a multiple of skin issues. You can order MadeOn Hard Lotion bars here, or simply go check out the site to learn a little bit more about the bars, read testimonials, etc. Renee has also created a wonderful resource of podcasts, where she answers many of the questions that you might have about hard lotion, it’s safety and more. As well, for those wanting to learn more about getting to the root issues with eczema, check out my blog series on that topic. Eczema: What is it and what causes it?, Solving the Underlying Causes Part 1 and Part 2. Has anyone else tried these hard lotions bars (or similar)? What have you found to be effective for eczema or extremely dry skin? Thank you for sharing this! After the birth of my daughter, I have developed some patches of eczema. Nothing I’ve tried has helped for very long. I’ll have to give this a try! I suffered miserably with this condition as a child and sadly passed it on to 2 of my kiddo’s. What helps us is cold pressed organic-high quality evening primrose oil. We use Barleans. It is hands down-(no pun intended) the best healant I have found. You are better within a few days. Of course processed foods and dairy are influencers difficult to battle in todays times, but EPO helps tremendously. Plus it makes my facial skin glow! Forgot to mention something else-a whole foods based toxin cleanse can really help along with a 14 strain of probiotics and having your vit d levels checked is good too. Lastly, the russian version of rhodiola rosea will help tremendously with stress. Thanks for the info on the hard wax, I will be looking for it at my health food store! I used to have exema issues, but I think it cleared up due to diet. I think that for me, eating more whole foods, as well as making sure I am getting Omega 3’s, has really helped. I got a bad patch on my hand that was SO itchy after my first baby and what initially helped it (plus then getting more Omega 3’s) was a product called Dr. Reckwegs (I think I spelt that right) Universal Ointment. Its a kind of homeopathic cream. This was really interesting! I have never tried hard lotion, but it has been on my to-do list for a while. I’m grateful Renee shared the recipe. I have those ingredients on hand and will give this a try soon. Thanks Renee! 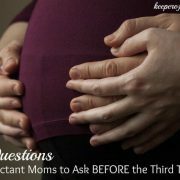 My daughter suffered with mild eczema as a toddler, but I never did find much that truly helped. I’ll definitely keep this in mind if we deal with it again. I’m from New Zealand, but here I have found a lipgloss that is amazing (the best I have ever tried) and it is made from sesame, coconut, and almond oils, plus beeswax and shea butter (so pretty similar formulation). we dissolve Ancient Minerals Bath Flakes, a natural salt, in our toddler’s baths and let her soak. it does wonders for her eczema (and other skin irritations/wounds.) other things (like emu oil, shea butter, olive/coconut oil) provide contact relief, but the bath flakes actually heal her itchy dry skin. drinking raw milk seems to make a difference, too. hard lotion sounds like a great thing to have on hand, especially this winter. great info. I’m glad you found something that works. The hard lotion sounds so fascinating. I had horrible hand eczema for a long time and it was so painful! It went away completely when I got allergy tested and found out that I was allergic to coffee (of all things!) But when I gave up the coffee, my hands cleared up. My allergist said that a lot of times, hand eczema is due to food allergies. I don’t know if you’ve looked into that or not, though. We use them all the time on our tough areas – knees, elbows, feet and hands. 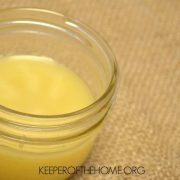 I agree with Renee that the fresh beeswax seems to be key, as it keeps the healthy oils on the skin longer by creating a soft protective layer that does NOT feel greasy – you can even feel the softness after handwashing! I had to pop over to thank you (Stephanie) and your readers for all the fantastic feedback (and wow, sales!) from your blog. Even if you don’t make a purchase, do check out my how-to video (DIY tab on my website) because you really don’t have to live with dry skin! You can have your tools – your hands – back, and the natural oils will keep your skin feeling smooth. My daughter struggles with eczema especially in the summer. I love the explanation behind how it works. My husband and I have been using MadeOn lotion bars for 5-6 months and we both really like them. My sister keeps one on her desk at work. I like the way it keeps my skin soft and helps to heal cracks. Thanks for this post! My almost 4 year old son began struggling with eczema somewhere around age 3. Flax seed oil and acidophilus seem to help, but he is constantly scratching his knees and legs until they bleed. Most lotions make him feel worse, so I am eager to try something different! We’ve tried to cut down bath times, but that’s not realistic with a boy during summertime! I have tried the Bee Silk and Au Chocolate from MadeOn and they are the best! For years I could only use Neutrogena Unscented Hand Cream. However, since I have been switching to all natural products, I was unable to find a natural product for by hands that crack and bleed in the winters. For extremely dry skin the Bee Silk definitely works and does not feel greasy. The Au Chocolat bar works better for the beginning and end of winter months, but smells really good. Also, the unscented lip balm is great. I will not use anything else. I would highly recommend! Thanks for sharing! You might also try applying Rooibos (Red Tea) directly to your skin. It is full of antioxidants (more than green tea) and helps eczema, acne, alergies, colicy babies, etc. It’s is really yummy and healthy for you! @Vickie, Interesting, Vickie! 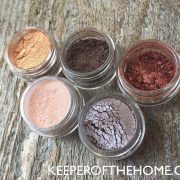 I love to drink Rooibos, but I’ve never heard of applying it to skin!